David Kiel takes a lunch break at Kentucky Camp, checking out its adobe buildings and machinery that date back more than a century. It was a stop along Kiel’s hike on the Arizona Trail, which passes through the ghost town southeast of Tucson. Stabilized adobe buildings hark back to an earlier era at Kentucky Camp, a short-lived mining town. Crumbling adobe walls and the ruins of vehicles and equipment mark part of the Kentucky Camp ghost town southeast of Tucson. Jesus Esteban Romero, a plasterer from Hermosillo, Sonora, places adobe around a window in the old manager’s home. KENTUCKY CAMP — This place was hopping 110 years ago with busy miners aiming to extract gold from rocks using a powerful water cannon. Now the site is a ghost town — and a magnet for visitors seeking to experience a sort of journey back in time. The camp, about 45 miles southeast of Tucson, went belly up as a mining operation less than a year after its 1904 construction. But now, thanks to the work of volunteers with a group called Friends of Kentucky Camp, several of its original buildings are stabilized — allowing visitors to enter and have a look at furnishings and equipment from yesteryear. 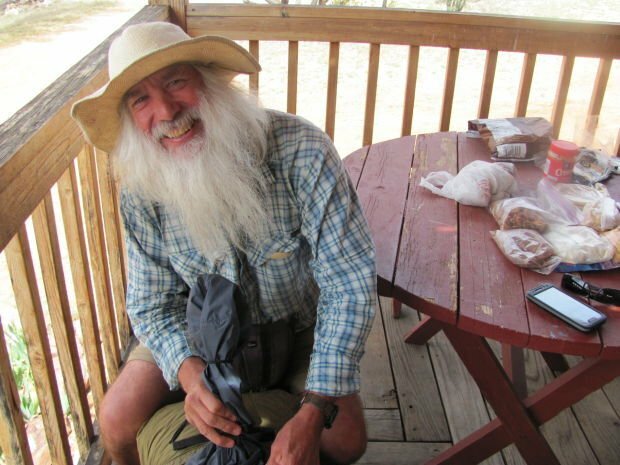 “It’s quite an amazing place — a good place to stop and eat lunch” in historical surroundings, said David Kiel, a hiker on the Arizona Trail who enjoyed a midday munch from his backpack food supplies on the porch of one of the buildings. The cross-state Arizona Trail passes through the town site, and hikers often tour the surroundings before trekking on. John Weiss, secretary of Friends of Kentucky Camp, said the site has become popular not only with passing hikers but with people who drive to the site and roam the ruins. The brief mining venture involved building a pipeline seven miles from a mountain water source to power the water cannon. A stream of water from the nozzle “would literally blast away the gold-bearing rocks and dirt,” said Mark Doumas, president of the Friends group. Problems — insufficient water for hydraulic mining and the mysterious death of the chief engineer in 1905 — led to an end of the mining effort after only a matter of months. The property served as a cattle ranch for the next 50 years and later was sold to a mining conglomerate. The Coronado National Forest acquired the land in 1989 — with forest employees and volunteers working to preserve the site since then. One structure at the camp, a one-time carriage house, has weathered to the point where only portions of its adobe walls remain. But several other buildings are still largely intact, and some have been stabilized so that visitors can enter. “The 10-room headquarters building has been there since 1904,” Weiss said, noting that workers had to reconstruct the building’s north wall to make it stable. Another structure, known as the gold processing building, is also open, and the water cannon is displayed outside. 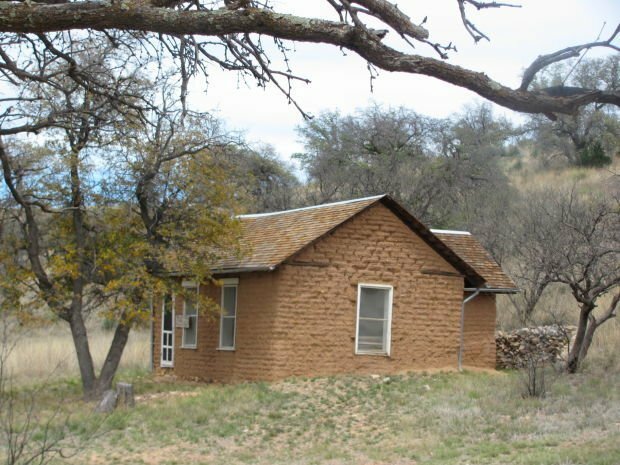 A three-room adobe cabin is available for rental for $75 per night through the U.S. Forest Service “Rooms With a View” cabin rental program. The Friends of Kentucky Camp website — www.kentuckycamp.org — has additional information on the camp and details on renting the cabin. • Where: About 45 miles southeast of Tucson. To get there, drive east on Interstate 10 to Arizona 83 and follow Arizona 83 south about 22 miles to a turnoff for Gardner Canyon Road. Turn west on the road and follow signs for about five miles to Kentucky Camp. The road is suitable for cars in good weather. The gate to Kentucky Camp is normally locked. Park in the lot at the top of a ridge and walk down about a quarter-mile to the site.